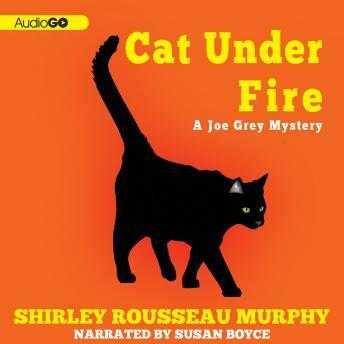 A big, powerful, gray feline, Joe Grey is perfectly content with his remarkable ability to understand and communicate with humans-especially now that he has company. A mysterious accident similar to the one that enabled him to speak and read has transformed his friend Dulcie as well. The trouble is, the cute tabby female not only hears human words, she believes them. Now she's convinced the man who was jailed for murdering a famous local artist and burning down her studio is innocent-simply because he says so-and she's willing to do whatever it takes to dig up the evidence that will exonerate the accused. Joe would much prefer just lazing around the house doing kitty things, but the lady cat is determined. And Joe must admit that he is curious...though everyone knows what that can lead to!